BREAKING NEWS: Complex Medical Expert (CME) system is available for purchase from BACMM. Click here. Specialized Osteoarthritis Program (SOAP) is now available to physicians. Click here. Done properly, ethical practice marketing can grow your profits, attract patients who appreciate and can afford quality care, deliver the high-paying fulfilling cases you want and even afford you the opportunity to have a life again outside of your practice. BAC Medical Marketing, based in Southern California, specializes in evidence-based medical marketing, throughout the United States, for all physician and surgical specialties (i.e., internal medicine, podiatry, plastic surgery, etc. ), as well as dental marketing for general practice and associated specialties (i.e., orthodontics, prosthodontics, periodontics, etc.). In addition, BAC Medical Marketing provides full-service marketing solutions for medical clinics, concierge medical practices and networks, long-term care facilities, hospitals and health systems nationwide. 1. Can marketing help me reach my personal and/or practice's/facility's goals (e.g., more or better cases, higher profits)? 2. Can I market myself and/or my practice/facility ethically and tastefully, and even enhance my reputation? 3. Where should I start? 4. Who can help me? 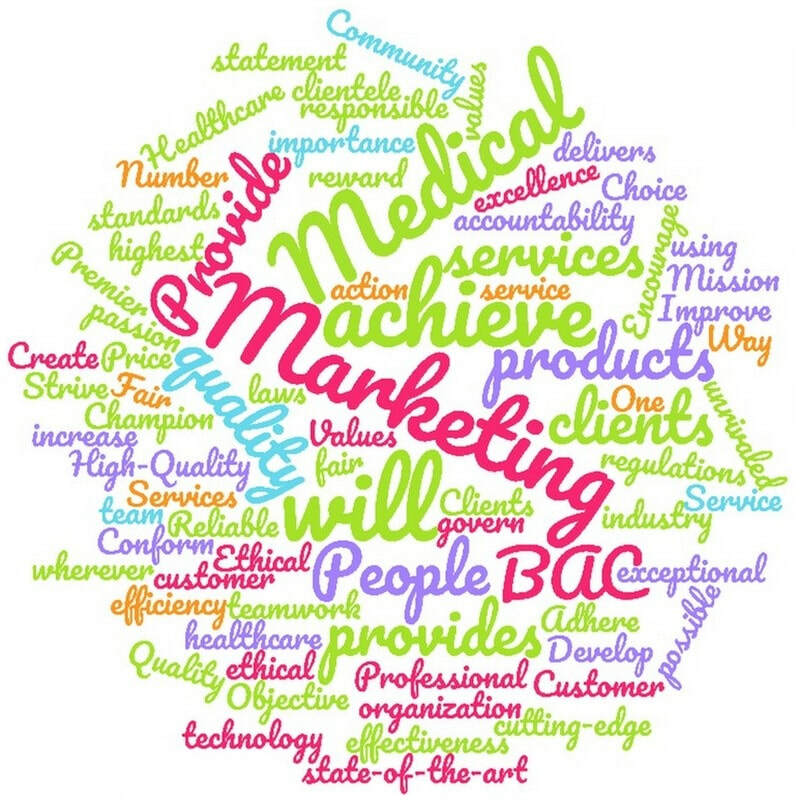 You’re also probably wondering what can BAC Medical Marketing offer you that no other organization can? The answer – nothing. The real question is this – What can BAC Medical Marketing deliver that no other organization can? And the answer? Any firm can make promises to clients, but only a few can actually deliver on them. BAC Medical Marketing does just that. That's why we may just be the perfect fit. The best way to find out is to call us today at 800.240.9473 or just e-mail us at Info@BACMedicalMarketing.com. We will be happy to talk with you about your practice and what you are trying to achieve. By the end of the call, you'll know whether or not we can help you. Find out now with a free, no obligation phone consultation. Please note that we cannot give you strategic advice until we've gone through a proper "examination and diagnosis" process. Like you, giving advice without a proper examination would be committing "marketing malpractice." Creatively marketing a medical practice is a necessity in today's volatile economic climate. Do you need BAC Medical Marketing? Find out by taking our free Practice Marketing Survey. A special message endorsing BAC Medical Marketing from the President of the United States.